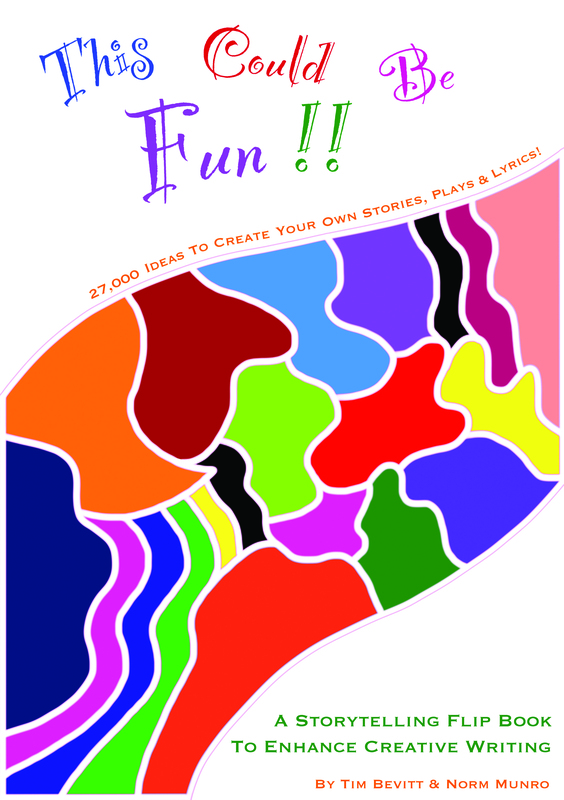 ‘This could be fun!’ is a flip book for children (6-13 yrs old), parents and teachers to inspire creative writing, giving you 27,000 possible story ideas! Flip through this book and release the inner creative genius in yourself. Your imagination will be fired up with unexpected adventure, mystery, laughter and excitement. Write a story, act out a play, make a movie, compose a song or just improvise a moment that no one else has ever seen before. You can then flip through the options to create 27 000 different combinations! Babble J. Sparrow, the magical pocket was very mysterious because he was invisible. He would get inside other pockets and when a person drop anything into their pocket, Babble would throw it inside his mouth and it would teleport anywhere he wanted. He had one eye patch, fangs, horns and on his other eye was a flame of fire. Babble had nostrils, one hand and to get from one person to another he would glide. Then Babble would laugh. Sometimes he laughed so hard he nearly lost what he had just stolen. Babble likes to steal valuables like gold, diamonds rings and rubies.